I joined the Hopkins faculty in 2017, and spent a year as a fellow at the Weatherhead Initiative on Global History at Harvard University. At Hopkins, I serve as a core faculty member for the Latin America in a Globalizing World Initiative, and am affiliated with the Program in Latin American Studies. I was previously an assistant professor of history and international studies at Rowan University, having received my PhD from New York University in 2015. I also hold a BA from Barnard College and Master’s in International Affairs from Columbia University. Before graduate school, I was for five years the Executive Director of the North American Congress on Latin America (NACLA), a 50-year-old research and advocacy organization. 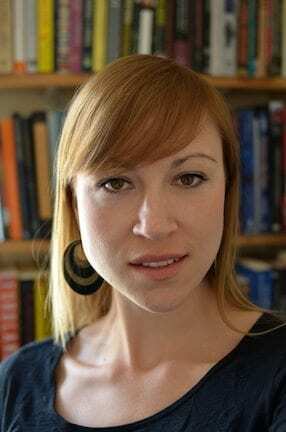 My research interests include comparative-historical sociology, global inequality and development, labor and social movements, Latin American political economy, and Mexican state formation. My current manuscript project, Revolution in Development: Mexico and the Governance of the Global Economy, under contract with the University of California Press, uses a case study of post-revolutionary Mexico to reexamine the origins of development as an international project. Using a comparative-historical analysis, the book traces how 20th-century Mexican diplomats, political figures, and economists mobilized the social and economic tenets of the Mexican Revolution to advocate for an international regime of redistributive multilateralism. The book argues that this Mexican advocacy had a profound impact on the creation and reform of international development institutions, as well as on how planners in the United States understood and executed the development project. 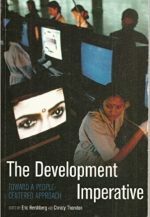 This project therefore argues for the need to move beyond frameworks of diffusionist modernization or dependent development to retheorize the emergence of development from the Global South. 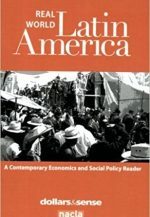 In addition, I am also working on a theorization of the links between neoliberalism, democracy, and the drug trade in contemporary Mexico, and have begun research for an incorporating comparison of the relations between and within the state and left movements in Mexico and Chile in the 1970s. “A Mexican International Economic Order? Tracing the Hidden Roots of the Charter of Economic Rights and Duties of States,” Humanity: An International Journal of Human Rights, Humanitarianism, and Development 9:3 (Winter 2018). “‘Mexico Has the Theories’: Latin America and the Invention of Development in the 1930s,” in The Development Century: A Global History, Stephen Macekura and Erez Manela, eds. (New York: Cambridge, 2018). “Voice and Vote for the Weaker Nations: Mexico’s Bretton Woods,” in Bretton Woods: Global Perspectives on the Conference and the Post-War World Order, G. Scott-Smith and J. Simon Rofe, eds. (New York: Palgrave MacMillan, 2017). Ricky Ochoa-Kaup,"Challenging the status quo in Mexico," The World Weekly, June 28, 2018. “How the Mexican Drug Trade Thrives on Free Trade,” with Adam Goodman, The Nation, July 9, 2014.